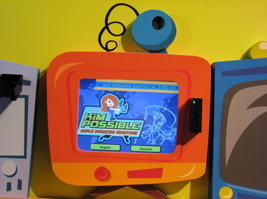 The new Kim Possible World Showcase Adventure has recently soft opened at Epcot and site partner MouseSteps was there! 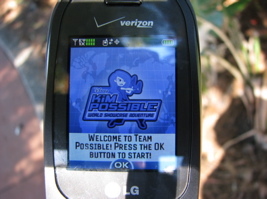 I also participated in the original testing of the Kim Possible Adventure in the fall of 2006 and present the following comparison set of photos. 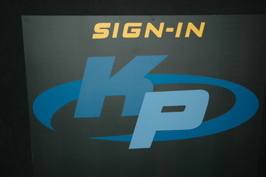 In the test version the sign-in station was in a revamped shop upstairs in Canada. 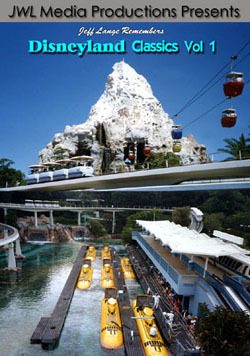 There you watched a video that explained the adventure to follow. 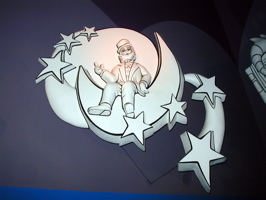 The new recruitment is now done at Innoventions (East or West), or along the path from Future World to World Showcase. 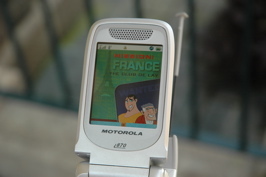 The actual adventure in the testing version included two countries, France (below) and the United Kingdom. 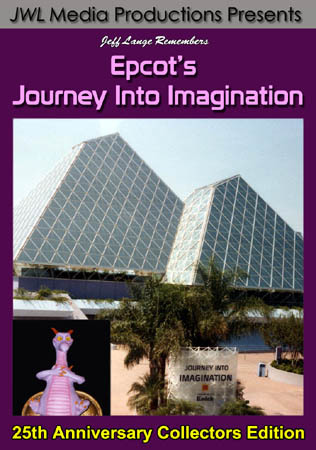 After completing these missions you were directed to the former Image works in the Imagination pavilion for a final battle with Drakken. 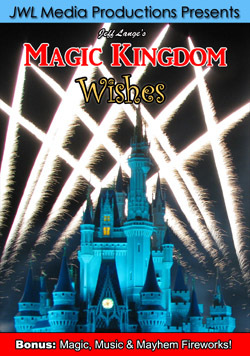 The new version features seven possible missions taking place around World Showcase, using seven of the pavilions (Mexico, Norway, China, Germany, Japan, France and United Kingdom). 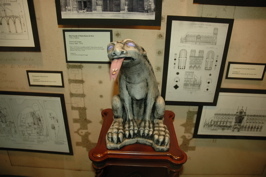 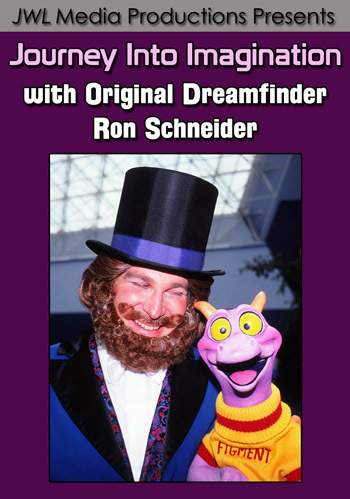 The test version’s big payoff was the rare chance to see the inside of the long closed Image Works at the Imagination Pavilion (old friend Dreamfinder below). 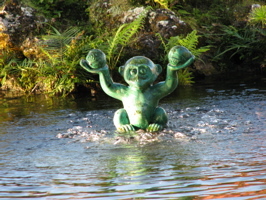 There are many twists to the new adventures, like the monkey rising from the water (below right, in China). 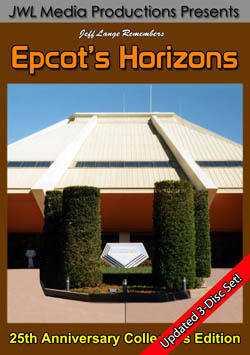 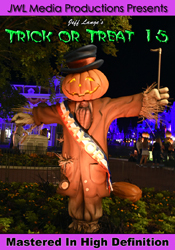 For full coverage of this great new Epcot addition featuring many more photos from the all-new adventure plus the original test version from 2006, please visit MouseSteps.com later this weekend! 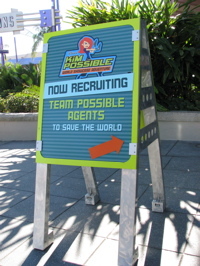 This is the beginning of one of the two “Kim Possible World Showcase Adventure” China Missions. 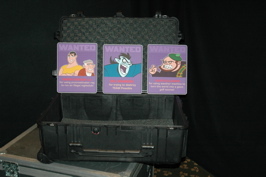 To continue your mission please click the following links: Part 2, Part 3, and Part 4! 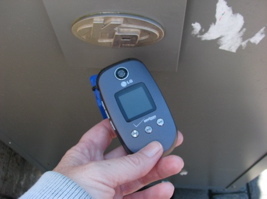 We also have some cool clips from the Germany mission here: Clip 1, Clip 2, and Clip 3.